If you need to transport a washing machine or fridge freezer then the process can be either straight forward or more complicated. The complexity of the appliance delivery job will be dictated by the state of the appliance, if it’s connected to the mains electricity, plumbed in or otherwise connected to a house it will take more work before it can be transported. If you’re buying an oven, dishwasher or other appliance online and require delivery then it should just be a simple courier job, as disconnection (if it’s second hand) should be taken care of by the seller. Electrical: If you’re moving an electric oven, tumble dryer or other electric appliance make sure that you switch off the mains electricity that runs to it first! Then you’ll be able to unplug it from its socket safely (this will usually involve pulling out the appliance first). Gas: If you’re removing a gas oven for example you will need to disconnect it from the mains, turning off the inlet and removing the bayonet fitting which is akin to removing a lighbulb. If this all seems too complicated it might be worth calling in a professional. Water: Disconnecting white goods like washing machines and dishwashers involves a bit more work than simple electrics. This time you’ve got two connections to deal with; first switch off the mains electricity. - Pull out the machine gently (you don’t want to damage your floor). Moving an appliance: Take care when dragging out appliances, it will usually take two people to avoid damaging the floor. Items such as washing machines are usually very heavy to stop them shaking about during use. Tying up loose ends : Make sure you secure any loose wires to the body of the appliance with tape or fasteners. Any pipes you disconnect can either travel separately or inside the machine itself. When you need an appliance delivered it often pays to hire a professional delivery company to help you move it. Whether it’s part of a house move or going somewhere independently there are a few things to consider when you’re picking a delivery service to carry your white goods. Insurance: Any decent courier should have goods in transit insurance. This will help cover your items against any damage they might suffer during their trip. Qualification: Some appliance delivery firms may also be qualified technicians, meaning that they can help you both un/install your machines and transport them for you too. While you’ll pay more for this service it can save you a lot of hassle. Similar items: Finding a driver that has moved similar items before is preferable, as this means that they are used to some of the struggles that might be encountered when moving home appliances. 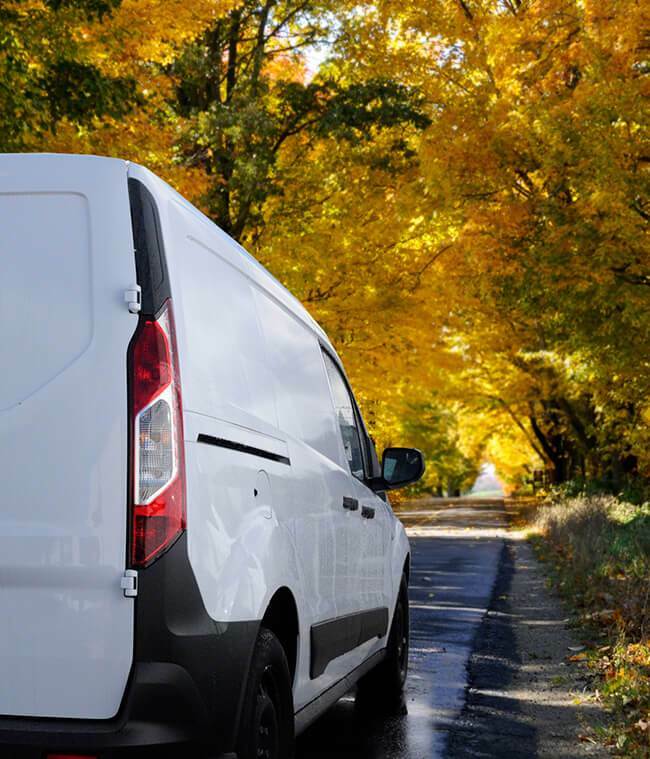 Local Routes: Finding a courier that is running deliveries close to you or your destination will likely get you the best quote for transportation. Whichever courier service you choose to use, it pays to be flexible with the dates of your pick-up and delivery. By offering drivers a number of dates you’ll be able to get a larger number of cheaper quotes. If you need to find someone to fulfil your appliance transport needs, then trawling through phonebooks and private websites is probably the last thing you want to do. Which is why listing your item on Shiply can bring the right courier to you! Firstly, upload the details of your appliance(s) to Shiply: Namely, what is going where and when? When you’ve uploaded the details of your appliance, couriers will be able to offer you delivery estimates for completing the move. In a reverse auction format, available transporters will attempt to win your delivery by offering the best quote. You can compare quotes as well as transporters based on feedback that they’ve received on previous jobs completed for Shiply users. When you get a cheap delivery quote that fits in with your timeframe, all you need to do is accept it to get your appliance moving. When your appliance arrives, check that there’s been no damage caused to it during transportation, any problems that you notice have should be taken up with the delivery driver as soon as possible. When you’ve signed off the completed transportation with the driver, you’ll need to get your goods inside. The driver may help you with this if arranged; otherwise you’ll want an extra pair of hands around to assist. When you get your appliances inside you might want to reconnect them. This is generally just a reversal of the disconnecting process. But consult a professional if you have any reservations about installing appliances as putting them in unqualified will likely mean you’re not covered by insurance. Once everything’s in place and your appliances are up and running, please leave some feedback for the service that you used through Shiply. Transporter reviews and feedback score are the best way for you to help other users find the most capable couriers.